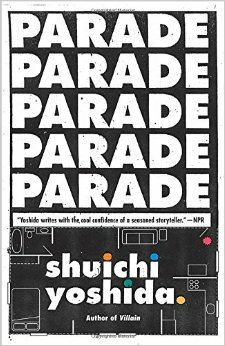 Parade is a much more subtle novel than Villain. In fact, I was so shocked at the conclusion I found myself reading the last twenty pages twice, carefully looking for nuances which could have led to such a surprising revelation. The clues are all there of course, just not laid out in an obvious, 21st century American way. Four Japanese students in their early twenties share Apartment 401 together in Tokyo. They are convinced that the inhabitant of Apartment 402 is up to no good, and they make elaborate plans to disclose his occupation. Yet they are completely unable to face their own flaws, let alone the tragic and horrifying flaw within the eldest. They look away from reality, and thus pardon one another’s behavior; if nothing is named, how can blame be assigned? By the end of the novel, we see what tragedy is created by the willingness to ignore truth. We see how probably, for these four anyway, it will never change. If this is an indication of the mindset of today’s twenty-somethings, there is much to fear. 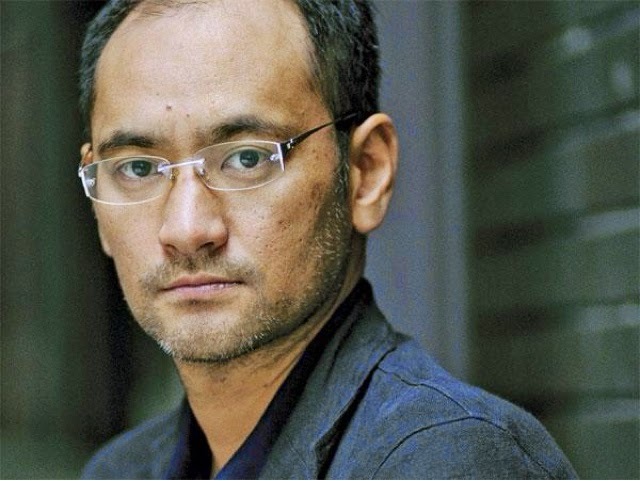 Shuichi Yoshida was born in Nagasaki, Japan, in 1968. 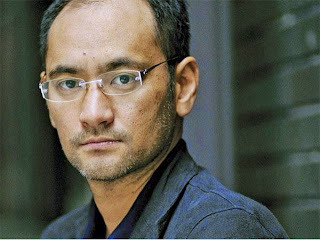 The author of over 25 books, he has won numerous literary awards in Japan and has also had several of his short stories adapted for Japanese television. He lives in Tokyo.Read an excerpt from Parade here. Previous Post Thunday Thalon. A Thad Tale of What Uthed to be My Tooth. I am conflicted. I want to read this and then I don't. I've heard good things about this book and your review intrigues me. It also sounds as if it has the potential to transfer to the screen. Bellezza, the book sounds fascinating in some ways. Thank you for another wonderful review. This sounds like one of those books you end up thinking about for days after you finish reading it. Very intriguing review. And I love the quote you chose! I promise it's not so upsetting you won'tn be able to sleep at night. I've read a lot scarier! It's just the realistic side of wayward thinking, which i suppose surrounds us on a daily basis. This sounds really good and psychological as well. I am going to see if I can get my hands on it. I really enjoyed Parade. You're spot on about the characters, none want to face their own flaws.